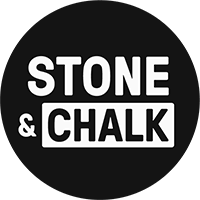 After a massive year, we’ve officially relaunched our Alumni Chapters events for 2019 to learn from Founders who have graduated from Stone & Chalk. We look forward to an inspirational morning where leading fintech entrepreneur Katherine will recount her startup journey: the things she wish she knew, what she’d do differently and how she went from an early-stage startup to a successful business employing over 50 staff. This January, we invite you to join an all-round boss, Katherine McConnell, Founder & CEO of Brighte as we look under the hood of what makes this business so impressive.